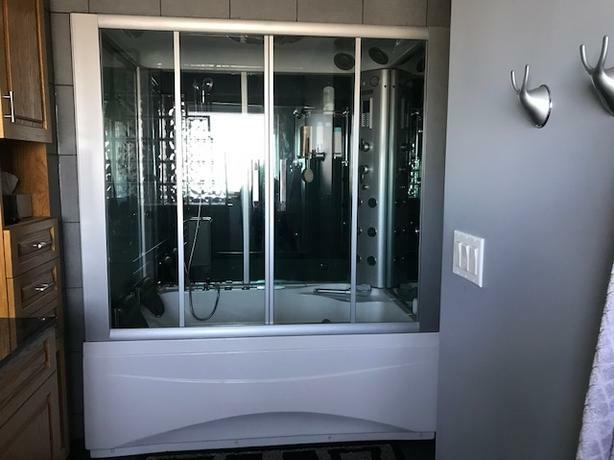 This is a double sized in-home steam shower and jet tub combo that we have used for a number of years. Everything works but we are replacing it with a single size tub. These tubs cost thousands new. I have disassembled the tub so it would need to be cleaned up a bit before re-assembly. It has lots of features including radio, cd connection, rain and hand held showers, and more. It is a SSWW B616 model. 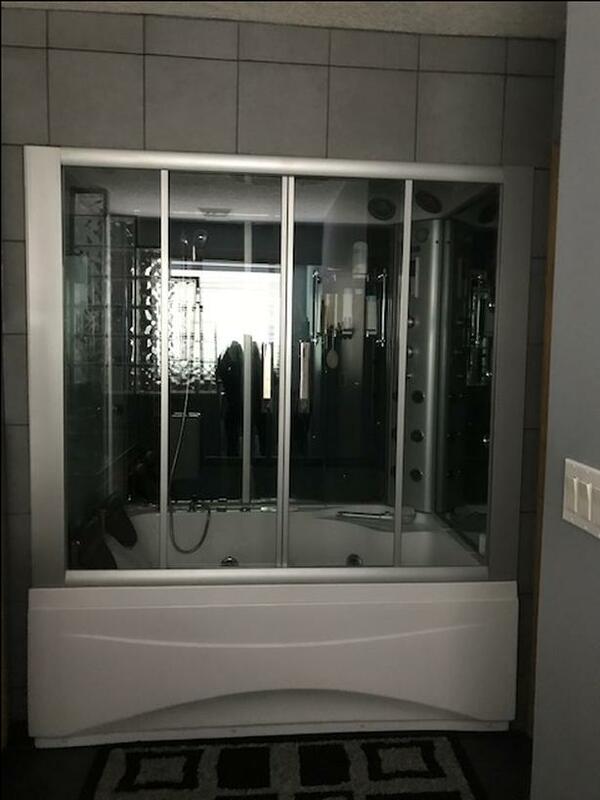 This is a great feature for an ensuite or can be set up like a basement sauna.